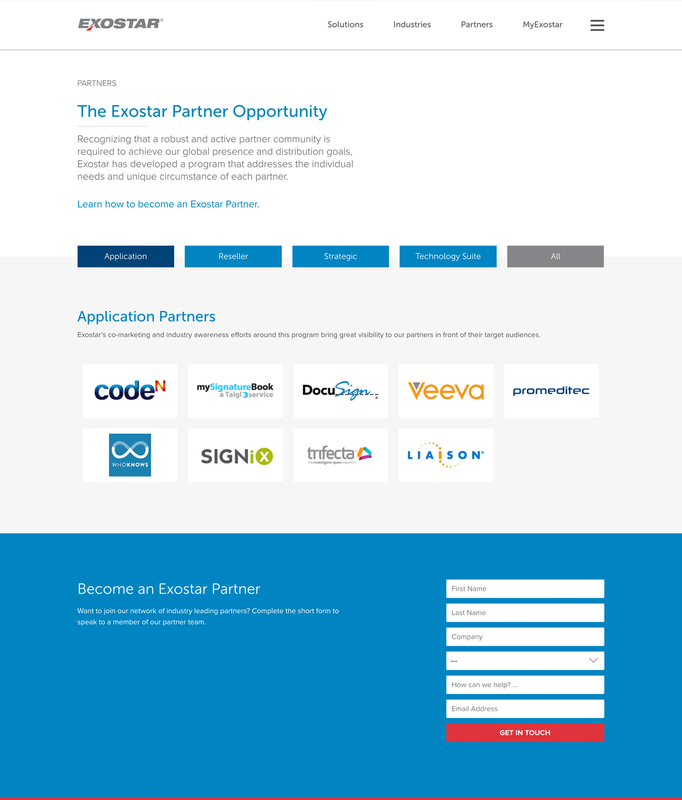 Exostar is the cloud platform for secure enterprise and supply chain collaboration solutions and identity and access management expertise. That’s quite a mouthful…we know. So when Exostar challenged us to help them create a new website, we knew we had to dial up a clear, focused strategy. 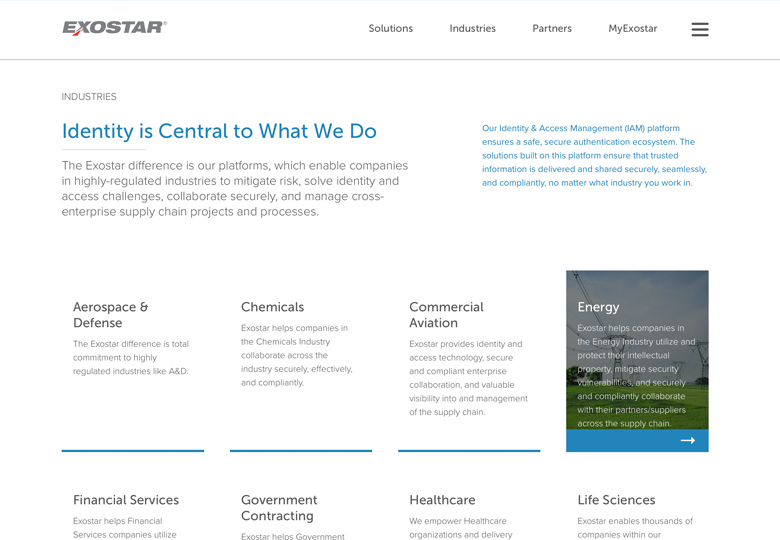 Exostar had undergone rapid growth but like many large organizations, years of website changes—many stemming from different departments; most made without an encompassing web strategy—had created a nightmare online experience for visitors. The project started with a very detailed web strategy, bringing together key leadership across the organization for their input. 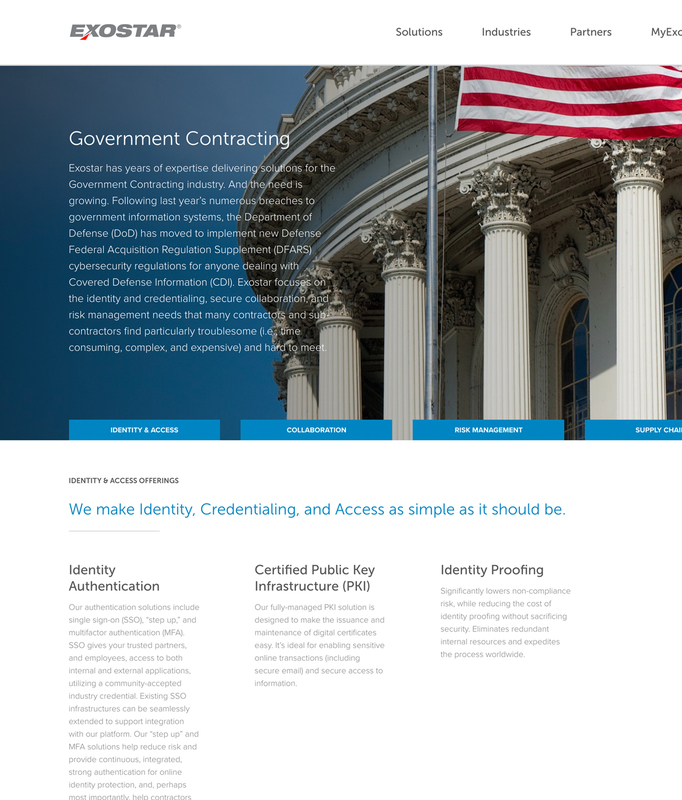 We crafted new messaging, established clear user paths, and created a design that demonstrates that B2B design doesn’t have to be boring to be effective. 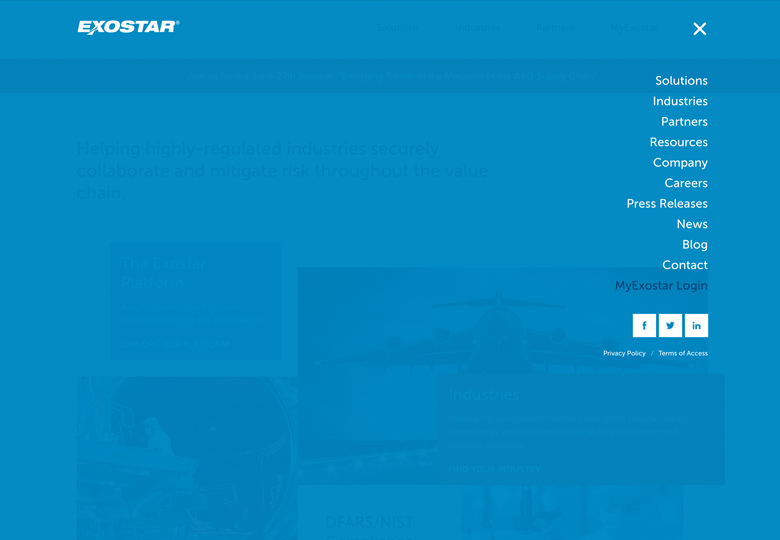 Thanks to the Peaktwo team, Exostar has a well-designed, high-functioning website that meets the unique challenges of our B2B business. It was a pleasure working with everyone at Peaktwo and we continue to enjoy collaborating with the team on new ideas and best practices to keep our site performing its best.